Bản ghi nhớ giữa Chính phủ nước Cộng hòa xã hộichủ nghĩa Việt Nam và Chính phủ Vương quốc Thái Lan về hợp tác lao động, kýtại Băng-cốc ngày 23 tháng 7 năm 2015, có hiệu lực kể từ ngày 23 tháng 7 năm2015. 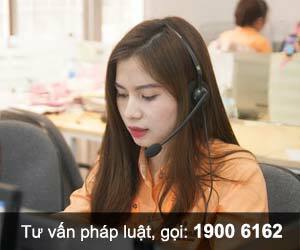 Bộ Ngoại giao trân trọng gửi bản sao bản ghi nhớtheo quy định tại Điều 68 của Luật nêu trên./. d) Any other areas of cooperationagreed upon by the Parties in the fileld of labour. The Parties shall cooperate onskill development in order to upgrade skill of manpower, and enhance labourproductivity. The activities under Article 2 andArticle 3 may be implemented through a variety of means, such as the exchangeof best practices, information, manual and expertise; joint project, workshopand dialogue. The arrangement shall be agreed upon by the Parties subject tothe national interests and available resources and on the case-by-case basis. The Parties shall make efforts toenhance transparency and efficiency of the sending and receiving process forthe workers from one country who intend to work legally in another country. In implementing this MOU, theParties agree to conclude the “Agreement on the Employment of Workers”, settingout the implementing details of the sending and receiving process. The Parties shall decide onpossible sectors and quota of workers to be recruited when possible. Workers employed under this MOUhave the right to fair treatment in the workplace subject to national laws,regulations, and policies of the receiving country. In order to support theimplementation of this MOU and the Agreement related to the Employment ofWorkers set forth in Article 5, the competent authorities of the Parties mayappoint officers to be the coordinators for each side. Such officers, through theconsultation with each side, may research, assist, coordinate, monitor andadvise the sending and receiving process. The Parties shall facilitate thetasks of the officers. a) The Parties shall work out andagree on the implementation work plans of this MOU. b) Each competent authority shalldesignate a national focal point at senior officials' level to facilitatecommunication between the Parties concerning this MOU. c) The competent authority of theParties shall conduct meeting on the implementation of this MOU periodicallyfor senior officials and once a year on rotation basis for ministerial level. d) Each Party shall be responsiblefor the travel, accommodation and subsistence costs of its delegations andpersonnel resulting from the implementation of this MOU, including for themeetings of the senior officials. The host Party shall facilitate the requiredlocal transportation for visiting delegations and for the logistical andsecretarial costs pertaining to the meetings in the implementation of this MOU. Any difference arising out of the interpretationor implementation of this MOU and its related Agreement shall be resolvedamicably through consultation and/or negotiation between the Parties. a) This MOU shall enter intoeffect on the date of the signature by the Parties. b) This MOU shall remain in effectfor 5 (five) years and may be renewed upon mutual consent. However, this MOUmay be suspended or terminated by either Party if there is any justifiablereason and the termination shall take effect sixty days following the date ofwritten notice to the other Party. c) This MOU shall remain effectiveduring its ongoing renewal process unless one of the Parties requests for itstermination. d) Any amendment of this MOU maybe made as agreed upon by the Parties through diplomatic channels. e) The termination of this MOUshall not affect the validity and duration of any ongoing action plan,projects, programmes until the completion of such projects, and programmes. IN WITNESS WHEREOF, theundersigned, being duly authorized by their respective Governments, have signedthis MOU.